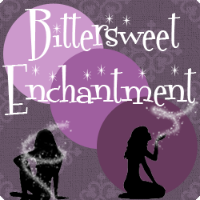 Bittersweet Enchantment: Apocalypse Gene Blog Tour: Author Guestpost & Giveaway!! 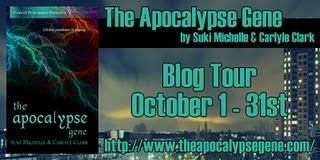 Apocalypse Gene Blog Tour: Author Guestpost & Giveaway!! Hello everyone. 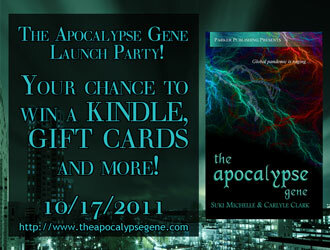 I am excited to bring you today my stop on the Apocalypse Gene Blog Tour. 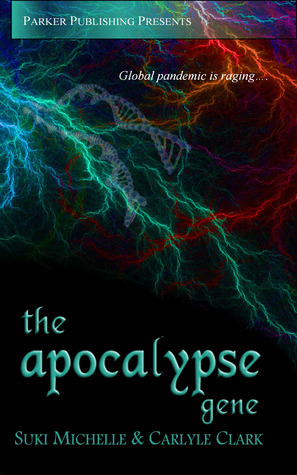 I have asked the authors (Suki Michelle and Carlyle Clark) of the new book Apocalypse Gene to do a guest-post here on my blog and there will also be a fun giveaway afterward for my readers to have a chance to win a free copy of there book. But before I go ahead with that I am going to leave my readers with info about Apocalypse Gene and where you can buy this awesome new book! and yes, even friends, especially the ones that thrive on drama. a scabrous moon. You want adventure and impossible love. what they want, just not the way they expect it". mayhem, sorrow and glory. It breaks your heart, and you love it. synthetic blood? No longer meat, humans are boyfriends, girlfriends, and business associates. humanity. Oh how they suffer, surrounded by all those juicy humans. What a conflict! Gene meets the classic “genre” criteria for fantasy, but it’s unique, a wild trip to another "world". the way you expect it. Come and imagine . . . There will be a Launch Party Giveaway which will be up on the 17th Oct and includes a Grand Prize of a Kindle and a $50 & $20 Amazon giftcard as well as other books that people can win. Thank you so much, Bittersweet, for allowing us to share this guest post and for letting your followers know about our book. We wish you all luck in the giveaways! 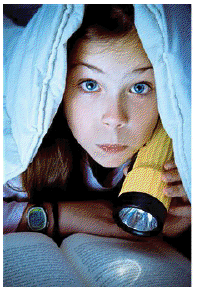 Have a scary Halloween, everyone - and good reading to you all! I love this guestpost :D Its one of my favs from the tour! Thanks for taking part! <3 I love your layout btw! Hey there, Roro and Julie, thanks! 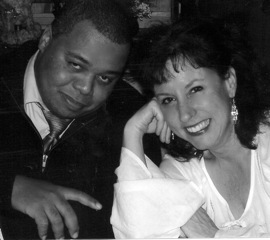 Carlyle and I had a lot of fun writing this guest post. Tomorrow is the big day . . our book's debut! Very excited. Thanks for commenting, and good luck on the Giveaway! PS: Hi up there, Naj! Hello! 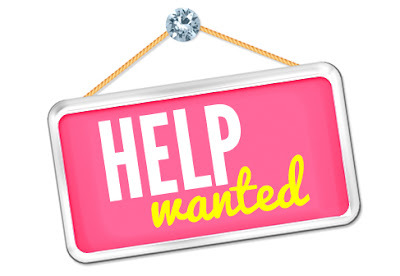 I am Nikki from closeencounterswiththenightkind.blogspot.com and I just stopped in to check out your site and post and not only do I love your blog and graphics but I must say we have a few things in common! 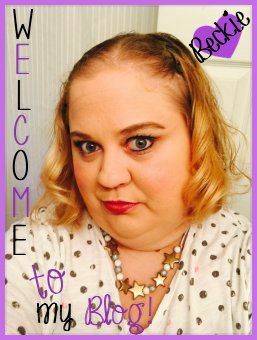 I am 32..in NC..and I have read or have in my tbr pile a lot of the books I see posted on your site!its very nice to meet you and I am a new follower..loved the post and the book sounds awesome! Stop by and say hi sometime! Hi Nikki! So nice to meet you! We're having so much fun on this tour - the best part is meeting all our new cyber-friends. Thanks so much for the kind words. I'll definitely stop by your blog! Looks like a great giveaway! Thanks so much. I'm glad I just wandered on to this blog! This book sounds very intriguing! Thanks so much for the giveaway!